One thing I liked about Chinese stir fry dishes is that it is so simple to prepare and most of them are ready in 15 minutes or less. Stir fries also lets you become creative in your own kitchen in the easiest way as you can almost create any meat and vegetable combination you want and it can be a different meal each time. Imagine how many combinations you can make by four different types of meats (chicken, pork, beef, and fish) and 10 common vegetables that will be equivalent to 40 different types. 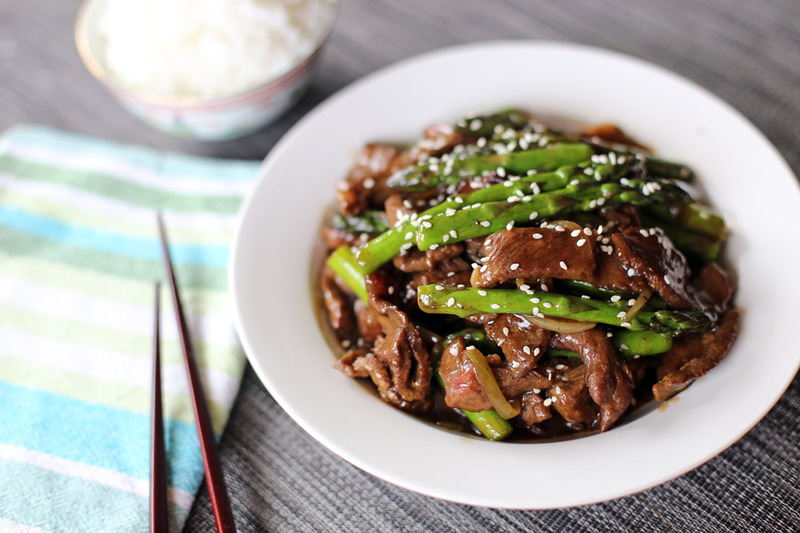 This dish is no different it’s a stir fry of beef and asparagus. I already had posted a lot of this type of combinations here and most of them are popular Chinese stir fry combinations like Beef and Ginger, Beef in Black Pepper Sauce, Beef and Broccoli and lots more. How about you do you have a favourite easy stir fry combination? Before you go to the recipe we have a competition running this week where Ang Sarap and TeaVivre is giving away one tea starter pack for each of the 3 winners. Each starter pack contains the following teas Liu An Gua Pian Green Tea, Premium Jasmine Dragon Pearls Green Tea, True Love Silver Needle Flower Tea, Organic Green Tea Powder and Blueberry Fruit Tea. Competition is open for 1 week and we accept entries worldwide, just fill in your details at our competition page to join. So what are you waiting for join now for your chance to taste their amazing teas. Marinate beef strips in salt, freshly ground black pepper, sesame oil and 2 tbsp of Chinese cooking wine for at least 15 minutes. Add cornstarch in beef mixture then mix evenly. 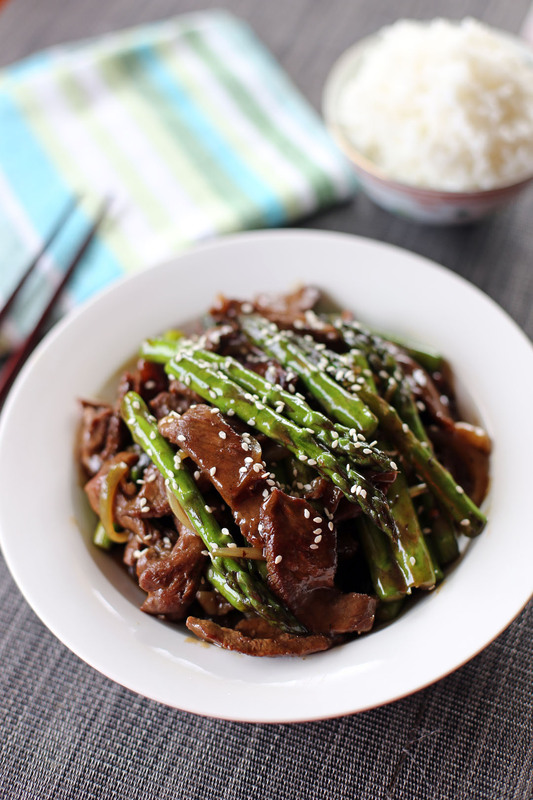 Heat oil in wok then stir fry beef in high heat in batches for 3-4 minutes. Set aside cooked beef. Add the asparagus and stir fry for two minutes. Add the beef back together with soy sauce, oyster sauce and remaining Chinese cooking wine. Stir fry for 1-2 minute in high heat until sauce is cooked and evenly distributed. Add water if needed. Serve immediately with freshly cooked jasmine rice. I’ve never asparagus with Asian flavors. You certainly make it look delicious!